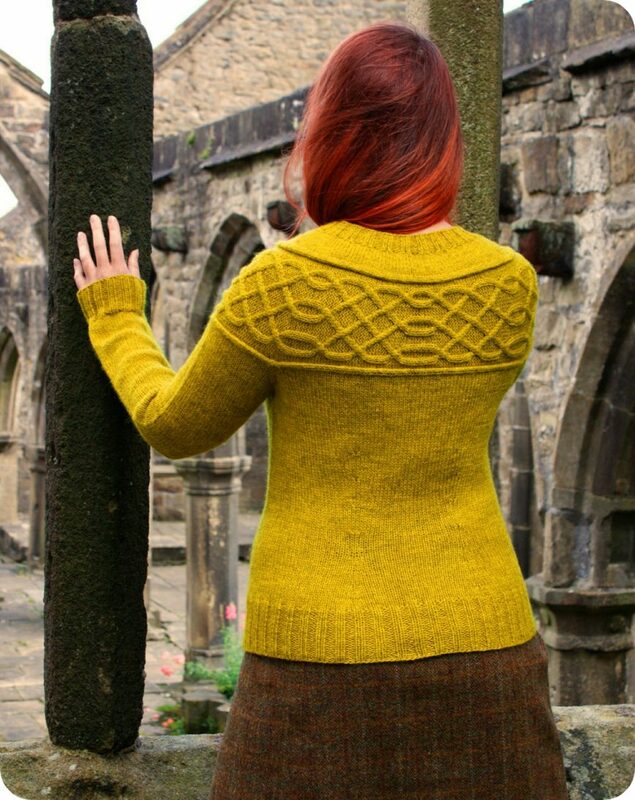 With an unusual construction using a sideways knit cabled strip with German short rows to form a crescent shape for the yoke detail, Arthington is an interesting and satisfying knit. Integral icord details and princess line shaping add further interest, overall creating a flattering cardigan. To fit 32(34:36:38:40:42:44:46:48:50:52:54:56:58)“ chest. The finished chest measurements include 5–10cm/2–4” of positive ease. Worsted/light aran/heavy DK weight yarn with approximately 218 metres/238 yards per 100g. You will require 6(6:7:7:7:8:8:9:9:9:9:10:10:11) x 100g skeins. 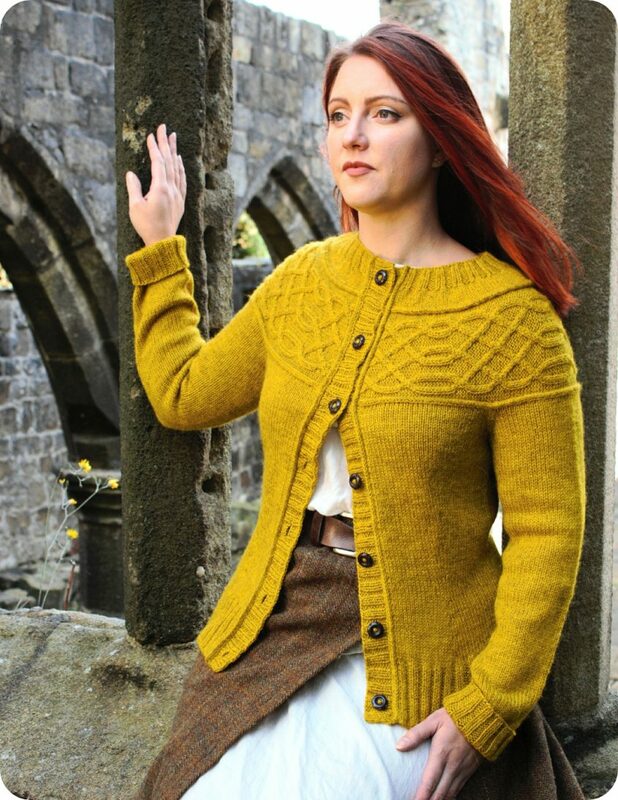 The pictured sample was knitted with The Fibre Company ‘Cumbria’ in Buttermere. 4.5mm/US 7 needles for small and large diameter circular knitting. 21 sts and 28 rows/rounds per 10cm/4” in blocked stocking stitch/stockinette.